RiskyProject Professional is comprehensive project risk analysis and management software that integrates with MS Project and Oracle Primavera. RiskyProject Professional allows users to perform Monte Carlo simulations of project cost and schedule using discrete risks event and uncertainties using three point estimates as well as other robust distributions. Cost and schedule risk analysis allows users to create realistic “risk adjusted” cost and schedule estimates to complete their projects. RiskyProject Professional also provides a comprehensive project risk management capability that is compatible with all major project risk methodologies and processes, such as those supported by PMI, Prince II, and ISO 31000. RiskyProject Professional is a sophisticated, yet easy to use tool that can be used by project managers, controllers, schedulers, and other team members regardless of whether they are a risk expert or a basic user. In RiskyProject Professional, users can create their own schedules with resources and costs, or import their projects from Microsoft Project, Oracle Primavera, or other project management tools. With the project estimates in RiskyProject, users can quickly define risks and uncertainties for cost, schedule or other impacts, perform Monte Carlo simulations, and determine their project risk profile. RiskyProject Professional has an integrated fully feature risk register that allows you to perform project risk management. The risk register can be either qualitative or quantitative and can include non-schedule risks, such as reputation, quality, and performance. Risks can be linked to project activities to measure how they will impact cost and schedule as part of the Monte Carlo Simulations. 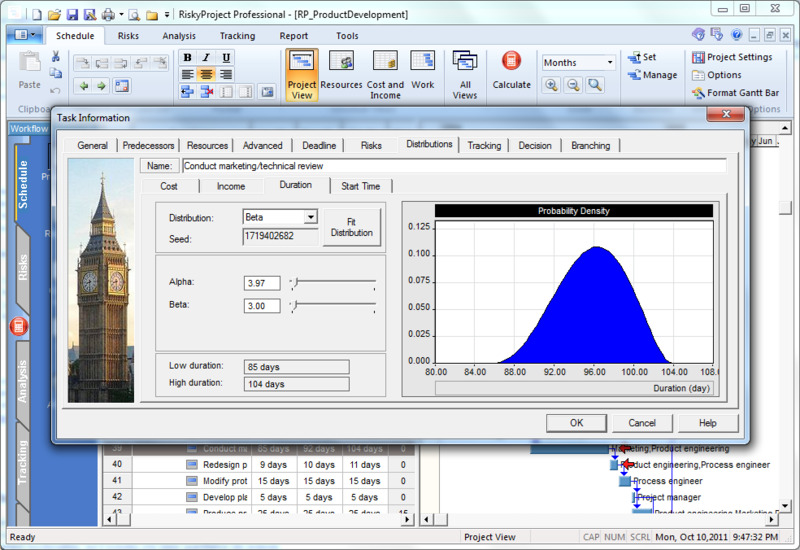 RiskyProject Professional provides comprehensive sensitivity analysis on project risks, cost, duration, finish time etc. The results of the sensitivity analysis can be viewed as Tornado charts and are available in a variety of reports. In addition, using the Monte Carlo simulations and sensitivity analysis, RiskyProject Professional will automatically rank risks in the risk register. 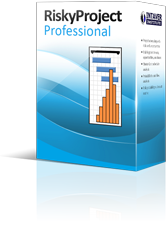 Other Project Management Software: Safran Project, Project KickStart, FastTrack, WBS Chart Pro, PERT Chart Expert, and other project management software*.